Cut lumber on site with the Alaskan MK ill: beams, boards, siding and custom cuts. Put this versatile power-feed tool to work in your own shop. See how fast it pays for itself! 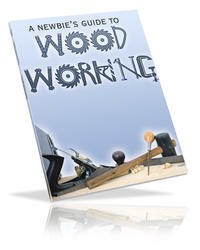 Quickly converts low-cost rough lumber into valuable finished stock, quarter-round, casing, base mold, tongue & groove . .all popular patterns... even custom designs! Now, just a twist of the dial adjusts your planer from 70 to over 1000 cuts-per-inch! 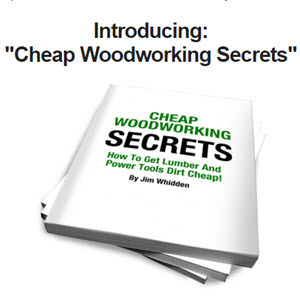 Produces a glass-smooth finish on tricky grain patterns no other planer can handle. 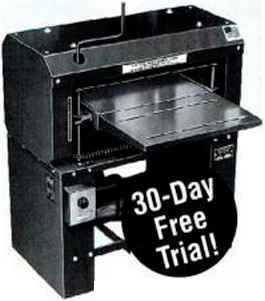 Converts to Drum Sander or Gang Rip Saw in under five minutes.